Longer take: When Peter Katz receives Richard Flynn’s manuscript submission, he’s intrigued. The book purportedly tells the true story behind the murder of Princeton psychology professor Joseph Wieder, a prickly but charismatic genius. Flynn is hired to reorganize the professor’s library, where he stumbles across an unfinished manuscript which seems to relate to the professor’s work with the military. But before he can find out more about it, Wieder is bludgeoned to death with a baseball bat. Katz has heard of the case, but frustratingly the manuscript ends just before Flynn leaves to see the professor on the night of the crime. When Katz tries to follow up on the story, he finds Flynn has died and the manuscript is nowhere to be found. Discrepancies in Flynn’s account quickly emerge. Flynn seems to suspect his then-girlfriend, Laura, the professor’s research assistant, who he wrote was lying about being stalked by a creepy ex-boyfriend, Tim. But it quickly emerges that Flynn and Laura were never involved, Tim was actually her boyfriend at the time, and if anything Flynn was the creepy one. In over his head, Katz hands the story over to an investigative journalist, who uncovers more contradictions in the various accounts, but he also runs into a dead end. Ultimately, the disgraced cop who worked the case at the time returns to investigate, and manages to find the truth. I expect I’ve made that sound a lot more interesting than it actually is. The “case in the past with multiple contradictory viewpoints” approach is a solid one, and the case itself has an interesting enough setup. But the telling is staggeringly dull. There are three different POV characters who each take up the case in turn, which in theory is a great way for an author to show off their versatility: each new investigator can bring a fresh voice and approach to the case. But all three characters are basically identical: middle-aged or older white dudes with sad lives and an investigation style that consists of having incredibly banal conversations with the various suspects. Once the manuscript portion ends, the book is literally just a series of plodding conversations until it ends. There’s no action, no tension, and the conversations themselves are often rambling and unrelated to the plot. But actually the manuscript is the highlight of the book, setting up the central problem quite nicely (although Chirovici badly tips his hand as to the solution). Once we return to the present, the rest of the book is just a long, slow trudge to the finish. The few glimpses we get into modern academia, publishing or the police are flimsily researched and tangential to the story. The final POV character, the retired policeman, is a slight step up, as his Alzheimer’s diagnosis adds some poignancy to the case (that’s not a spoiler, it’s basically the first thing we learn about him), but it’s too little, too late. He has the exact same bland voice as the other two investigators – not quite realistic but also not particularly interesting either – and the finale is a damp squib. The Book of Mirrors actually left me rather angry. Chirovici – a successful author in his native Romania – has included a touching author’s note about how this is his first English language book and how grateful he is to his editor for all the help they provided. But his editor has done an absolutely terrible job! There’s a good idea here, and it could possibly have been made into a great book. Unlike What Remains of Me, the structure itself is sound, it’s just the execution that’s poor, in a lot of ways which I recognize from first drafts I’ve worked on in the past. A good, supportive editor could have seen these problems and helped Chirovici craft this into the interesting, multi-faceted novel he clearly wants it to be. Instead someone’s done the bare minimum to make it readable and shoved it out the door. It used to be that I’d advise clients to try and secure traditional publishing contracts, if possible. Independent publishing offers a lot of freedom, but it’s easy to underestimate the work involved. Marketing and editing are difficult, expensive and time consuming, and finding the right people to help you can be tough. It’s easy to cut corners, and freelance editors are often nervous about giving honest feedback, because they don’t want to alienate clients (and, frankly, because saying a book doesn’t need much editing is a lot less work). Publishers used to be reliable here. They had established teams of editors and marketers who were experienced and effective. Sure, there’s always more work that can be done, and eventually you have to call diminishing returns and just get the book printed, but you could at least rely on some solid, constructive feedback and assistance through several rounds of redrafting. But increasingly it seems that, unless you’re pegged to be a huge success, publishers have no interest in taking the time needed to properly polish a novel. 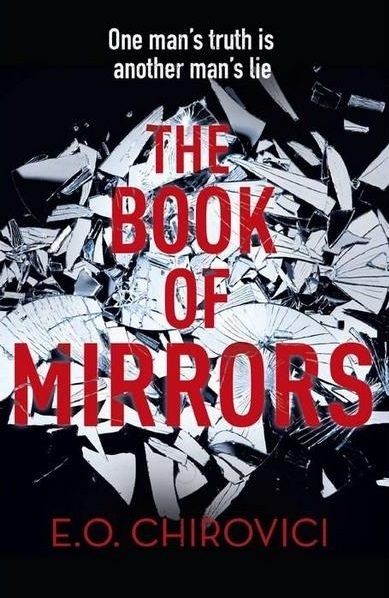 I was going to say they’re just accepting poor first drafts, correcting the typos then sending them to press, but given that a single page of my version of The Book of Mirrors had twelve different spelling errors, they don’t even seem to be doing that. Alternative Recommendations: If you want to read a murder in the past novel where the different character viewpoints actually come through in the story, it’s hard to go wrong with Christie’s Five Little Pigs. Even though it’s basically the same setup (contradictory viewpoints, whole lotta talking), Christie’s confident and breezy style is a lot more compelling. If you’re after something in the same vein that’s a little longer and more thematically challenging, I’d recommend the excellent An Instance of the Fingerpost by Iain Pears. Funnily enoug, I saw an advert for this in the last few days, had a moment of “Ooooh, that looks interesting” and then course-corrected to “No, hang on, it’s probably a rushed-out botch-up of a lot of very old ideas recycled past the point of interest or nascent originality”. So thanks for taking the the time to read it and convince me that I’m not missing out.